Perfect accessory to have in the bathroom or anywhere you need a small wastebasket. Works great in the bathroom or at the office by the desk. 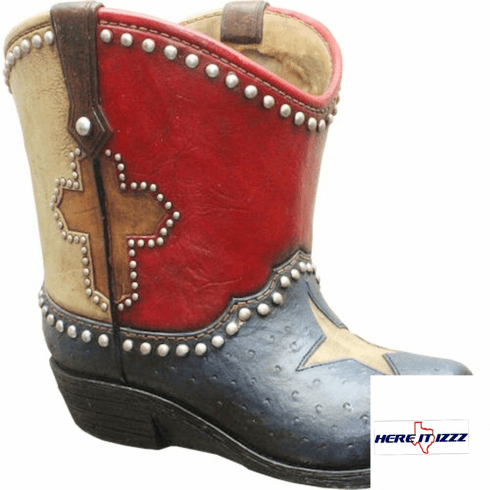 Texas Lone Star Cross boot trash can is red white and blue with the Texas Lone Star and a studded Western cross.